One day I will have an all-black garden. 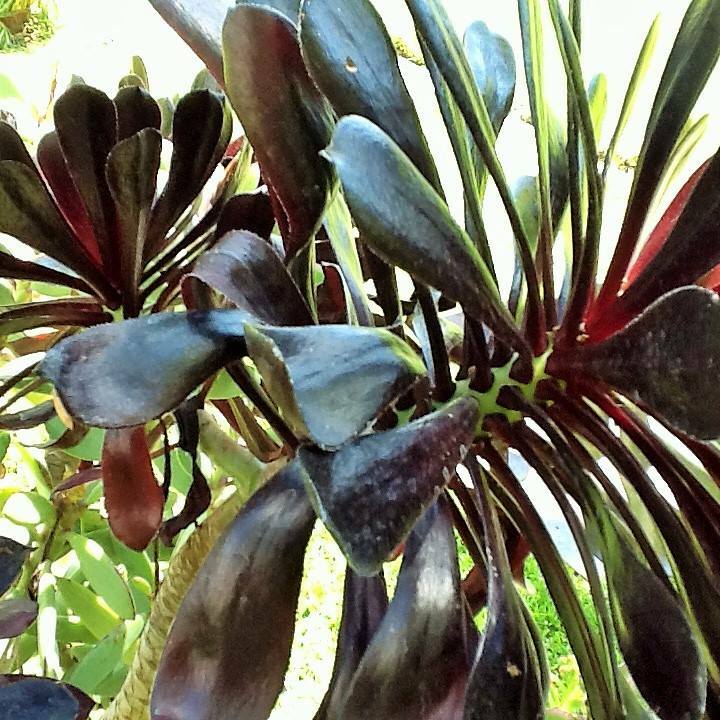 This is my favorite, Aeonium Schwarzkopf. I bought a plant of this variety on eBay,long back, and it died. So I bought another one from a craigslist ad while I was vacationing in Manhattan Beach. That one died, too. I got one last spring at Al and Mari's house in Sun Valley. I researched and followed all the standard advice, but it was dying, too. It looked like a Q-Tip and all but about six of the black leaves had fallen off. I almost threw it away, but instead I followed my own advice and ignored it. I left it out in the Virginia monsoons all summer and just didn't even look, and it happened. It's about 4" across now. It's happy. I recently made contact with an old friend who'd broken up with me. When I wrote back to her, I told her this: I will take root again, but not here. I will not die in Annandale. This place is not my home. Perhaps I do protest too much, but still. I am going to try and take my own advice and ignore myself for a couple of months. I will make no assumptions. Things secretly grow when we make an effort to plant them. Your home is the World, Deb.